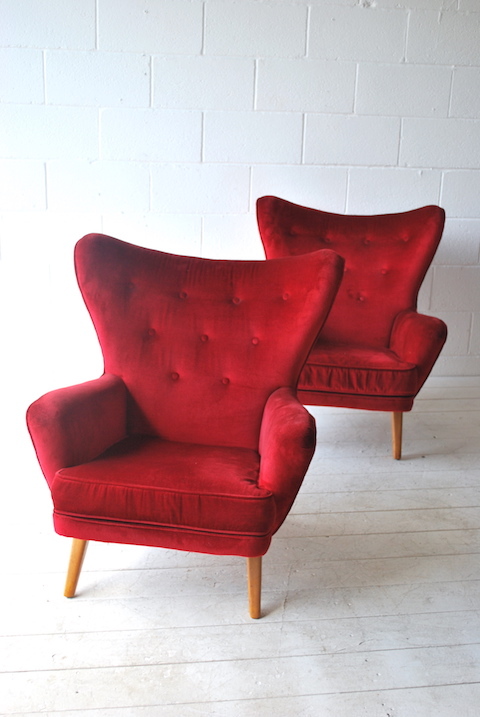 A lovely pair of 1950s armchairs by G Plan. 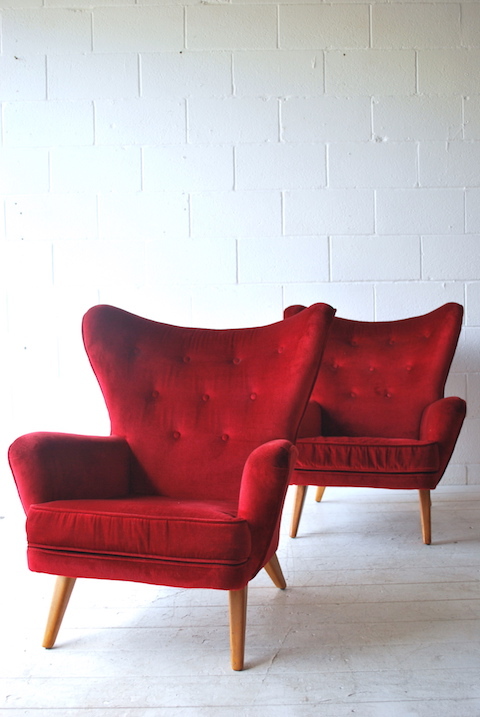 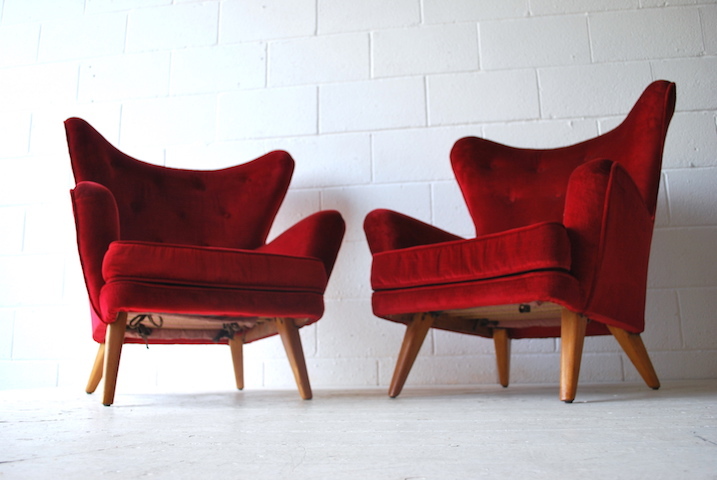 In red velour and splayed beech legs. 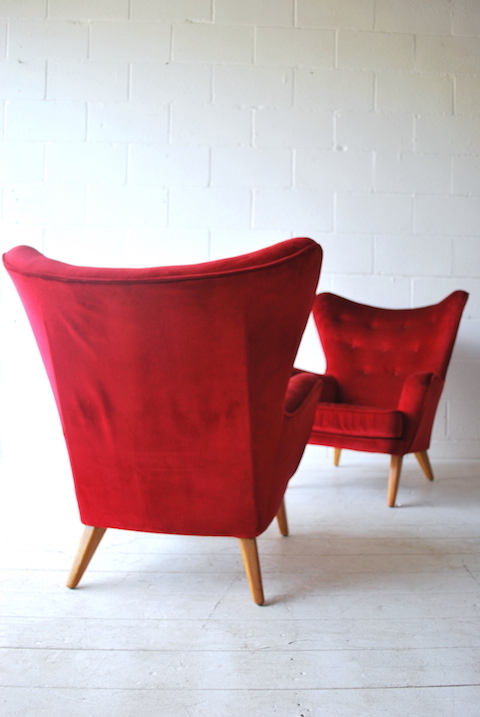 In good original condition with some light age related wear.